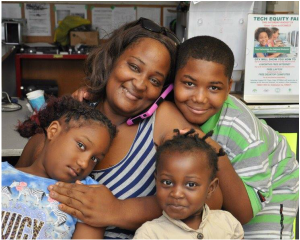 We provide 3000 families a year with a free computer, training and $10 internet options. Affordable hardware and services for local schools and organizations. Half of low-income households don't have access to a computer at home. 81% of a computer's energy use is in making it, not using it. Sign up below to receive periodic updates from Tech Exchange.